This is a rebroadcast of our first podcast of the second season by Indigenous Collective member Mario Parent. Mario is from the Nisga'a Nation and currently attending UBC. In this podcast, Mario investigates the topic of Food Sovereignty. He chats with Julian Napoleon from the faculty of Land and Food Systems at UBC, Dr Lee Brown and Musqueam elder Shane Point- both elders from the urban wellness program at the UBC farm. 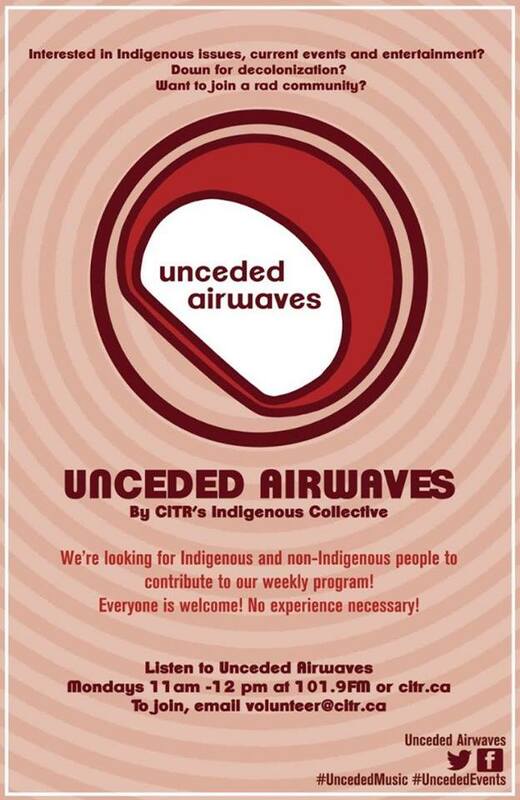 Unceded Airwaves is put together every week by UBC's Indigenous Radio Collective, and we are committed to centering the voices of Native people and offering alternative narratives that empower Native people and their stories.